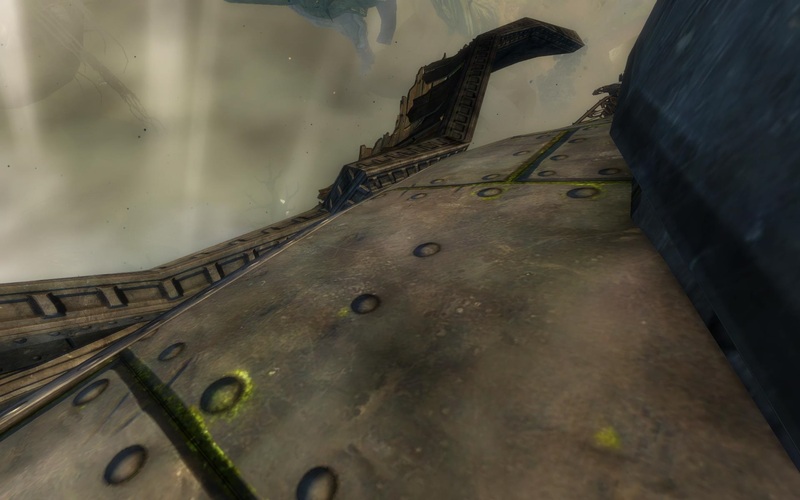 “Dive Master: Verdant Brink” is a Heart of Thorns achievement that requires players to equip diving goggles and successfully leap all the way from the upper canopy layer to a small pool of water below. 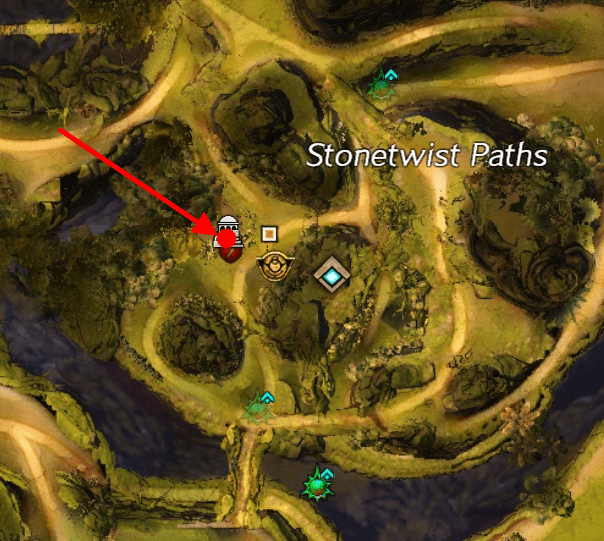 This guide will show you where to find the diving goggles and explain how to successfully complete the Verdant Brink Dive Master achievement. Before you attempt the dive it’s important to know exactly where you’ll need to land. 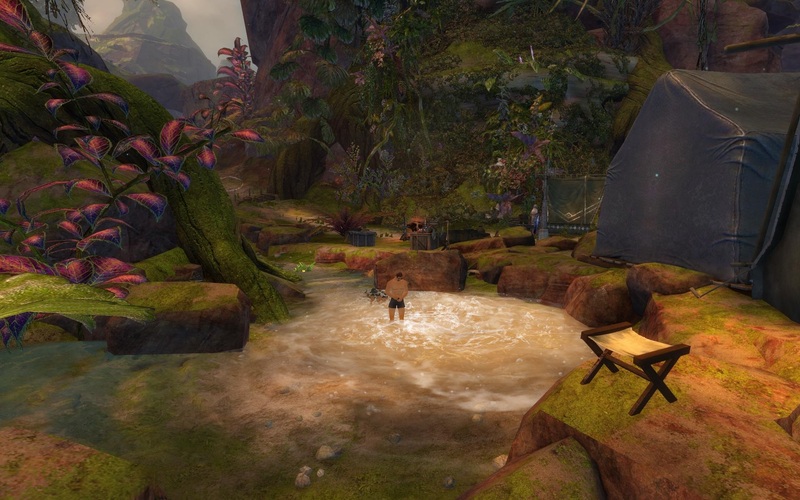 The diving pool is a tiny area of water located in the Pact Encampment near the central region of Verdant Brink. The water is so shallow that it seems impossible to dive into, but you will not die if you land directly in the water. It’s important to remember this location because it is not visible from the diving location and it is obscured by trees most of the way down. 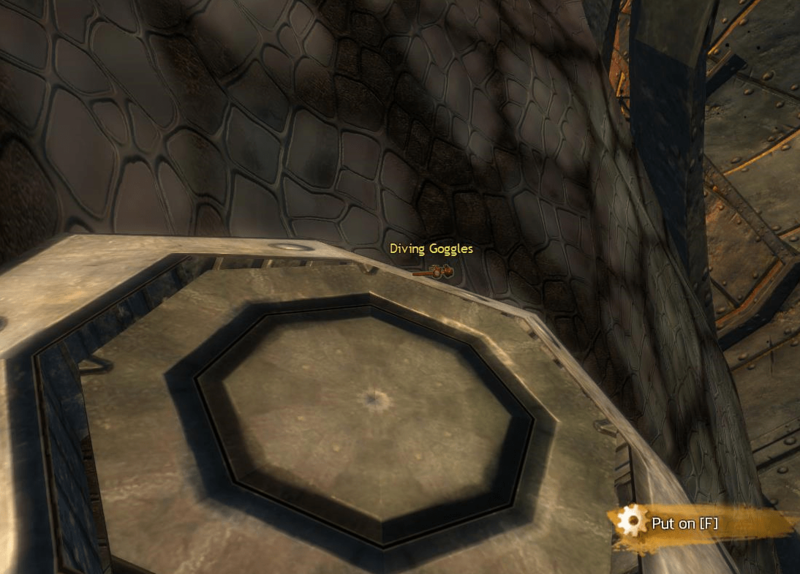 The diving goggles for this achievement are located up on the airship in the Canopy Over Pact Encampment layer. 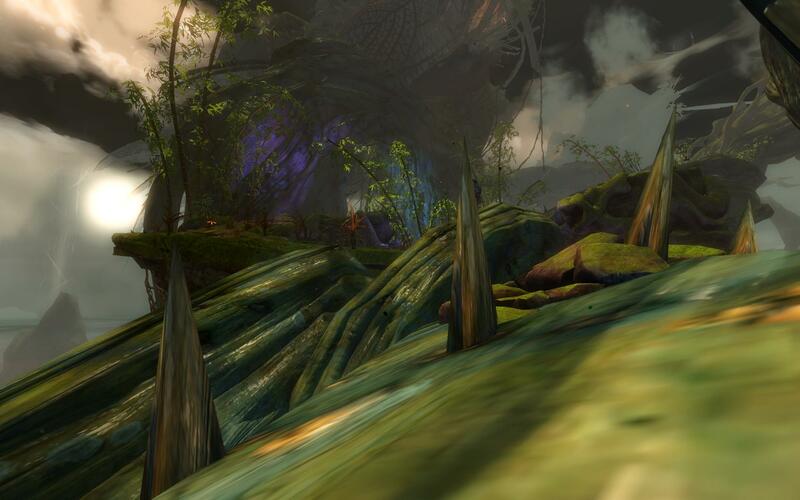 Start from the Shrouded Ruins Waypoint in the southern portion of Verdant Brink. 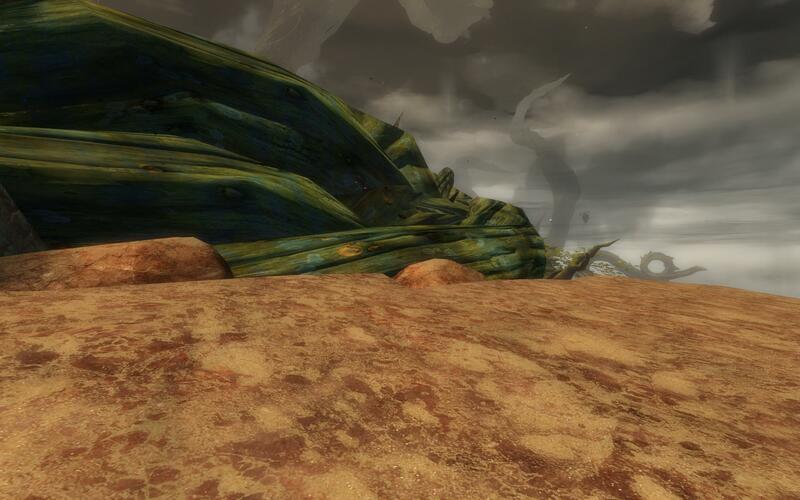 From there, head west up the stairs until you get to the open plateau area with dust swarms. 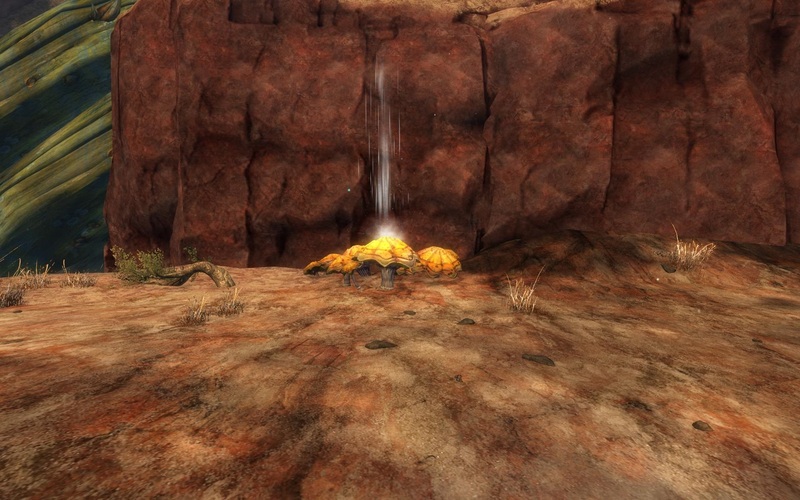 At the base of a small cliff ahead you will see a mushroom bounce pad. 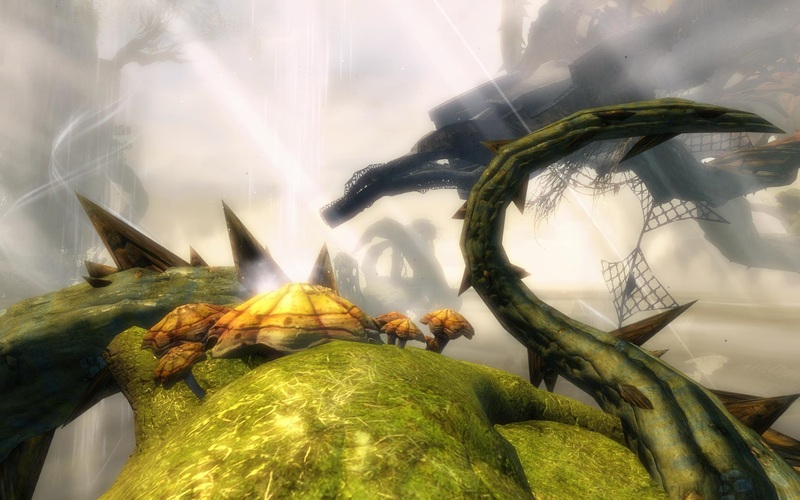 Hop on the mushroom to access the next level of the plateau. From there, make your way to the large vine to the left. You may have to do a little jumping to get there. 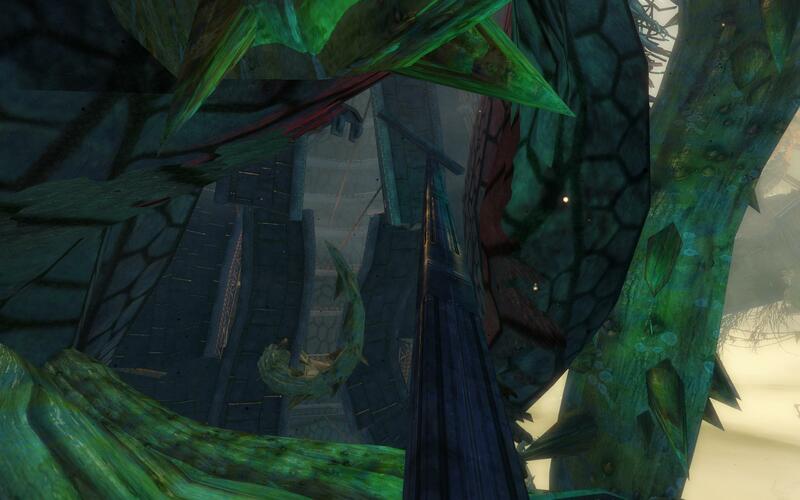 Follow the vine all the way over to the island with the Wyverns. 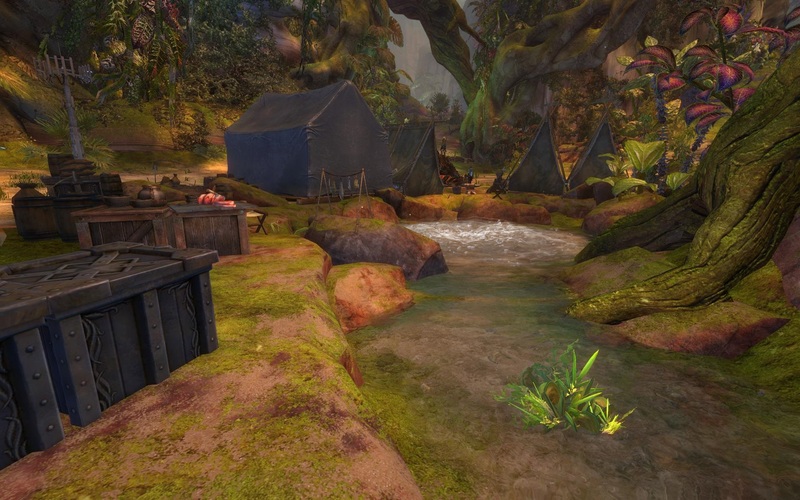 Head straight ahead to the far end of the island, where you’ll find another bouncing mushroom. 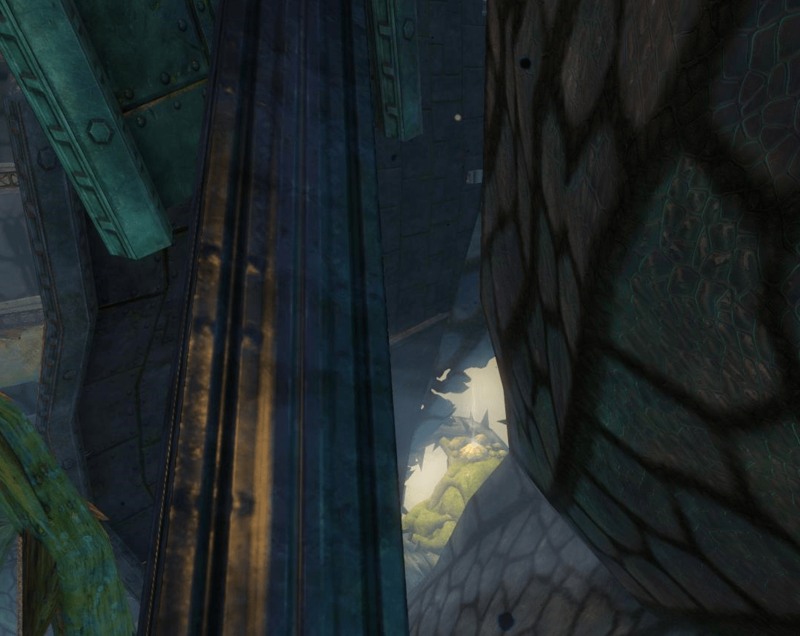 Hop on the mushroom and you’ll be blasted across to a beam on a large wrecked structure. Walk forward on the beam a short ways until you can see the bouncing mushroom through the gap to your right. 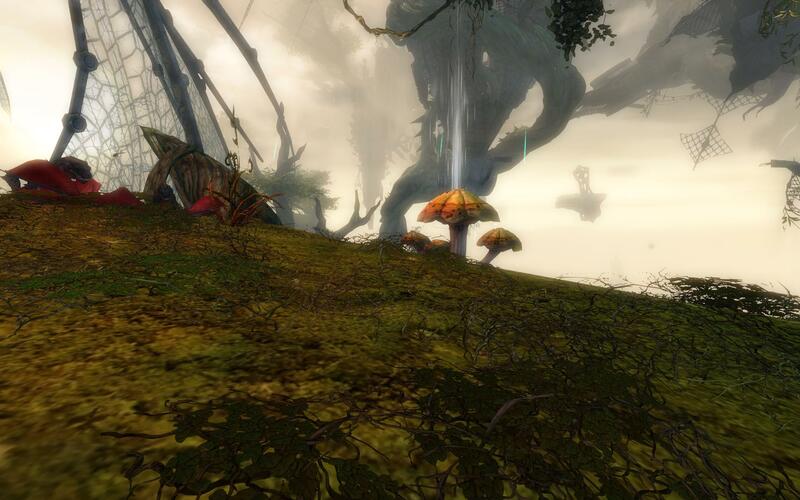 Carefully jump of the beam and glide toward this mushroom and land on the grassy platform. 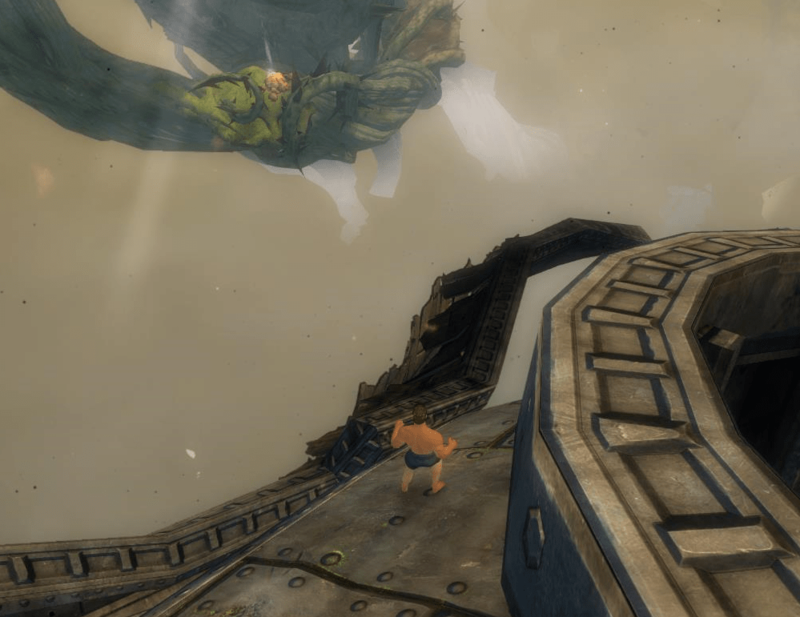 Hop on the mushroom and it will take you to the airship where you can find the diving goggles. Once you’ve equipped the diving goggles, turn around and walk to the left of the large metal circle. You want to position yourself between the two dark-colored dots about halfway down the edge. After you’ve positioned yourself in the designated area, all you need to do is walk off of the edge to begin your dive. It may help to mark the landing zone with a waypoint so you can adjust your position on the way down to make sure you hit the target. As you fall, position the camera so that you’re looking down at your character and try to avoid hitting any branches on the way down through the canopy. If you positioned your character correctly between the dots you should fall without hitting any branches. 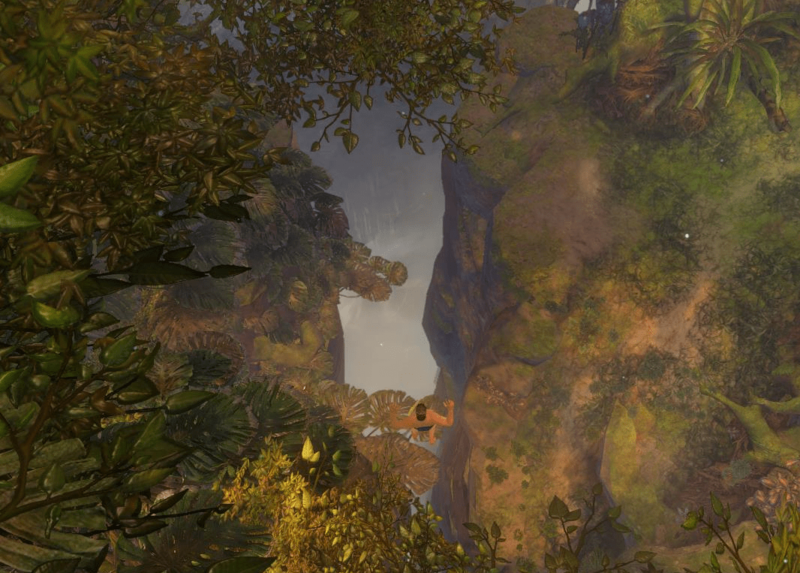 After the long fall you will land in the water, successfully completing the dive.